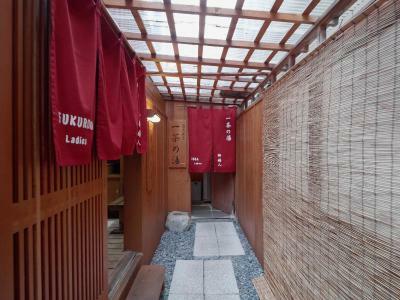 Lock in a great price for Shibu Onsen KOKUYA – rated 8.8 by recent guests! Meals were pretty good, staff very helpful and English speaking. Staff and service are excellent. 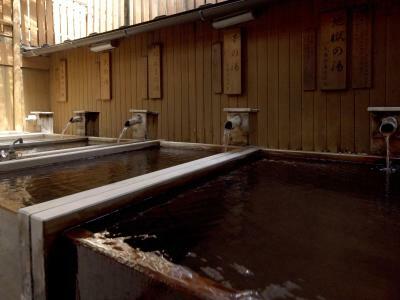 Different types of onsen are awesome. I felt spoiled , a lot of little nice details. 8 thermal baths inside the facilities, one on the balcony of the room. Far superior to the 9 public baths of the town. Excellent food. 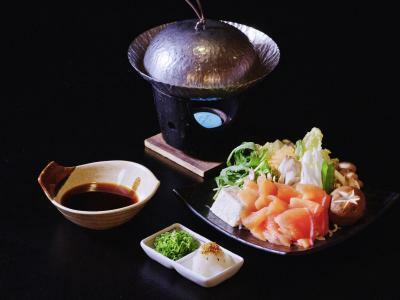 It’s a tasting of about 10 dishes. If you like to be spoiled this is a good place. 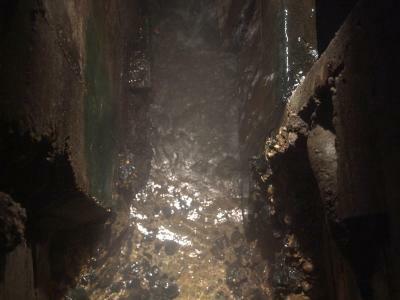 The private hot spring bath in the room. The complimentary pick up from the train station as well as the drop off to the train station and the snow monkeys park. 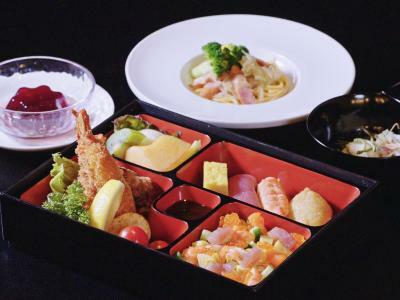 The authentic Japanese cuisine. The staff is wonderful - super friendly, welcoming and efficient. Our room with a private hot spring bath was cosy and spacious enough for 2. The futons were considerably more comfortable than in other ryokans we have been to. We were grateful they cater for vegetarians and one of the highlights for us were in fact the meals. They served a delicious variety for both breakfasts and dinners. I absolutely loved the property, the services, the staff. It was an amazing stay. One of the best parts of our visit to Japan. I can’t wait to go back. 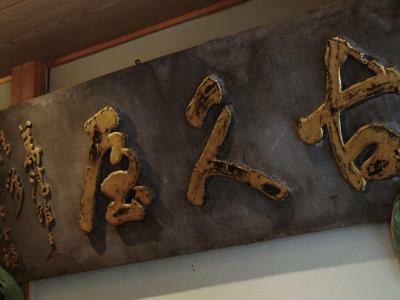 Our Japanese was elementary at best, so it was so great that the staff is English-friendly. 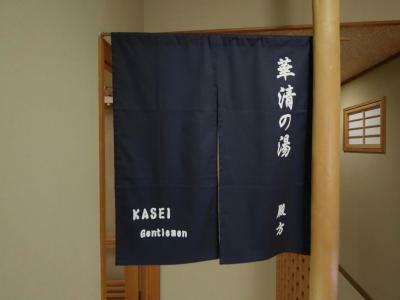 The private and public onsen were wonderful and the staff were so friendly and helpful. The town is just beautiful and the ryokan made everything easy - providing snow boots, shuttle buses and transport to the local snow monkey park. 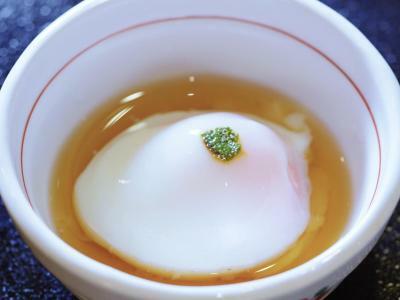 The optional kaiseki, seasonal breakfast and dinners, are an amazing experience. Overall ryokan experience was great. 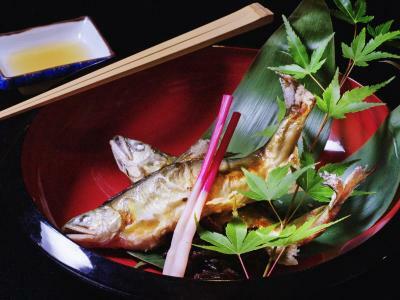 Amazing Japanese breakfast. Onsens were great. Checkin was great, we were made to feel very welcome- a lot of info is given upon arrival though and I wonder if there is more streamlined way to deliver it,, when you are a tired traveller, yet still make it a personable experience.. Though expensive, the experience was worth the difference. 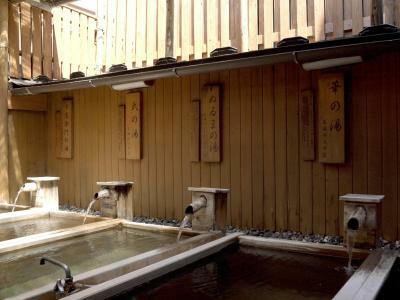 I selected it for the private Onsen. The included dinner was first class and exceeded expectations. Amazing staff, including a staff member fluent in English. The onsen experience is fantastic. 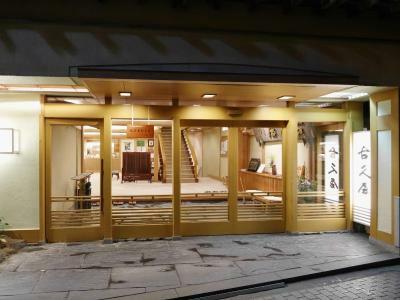 Shibu Onsen KOKUYA This rating is a reflection of how the property compares to the industry standard when it comes to price, facilities and services available. It's based on a self-evaluation by the property. Use this rating to help choose your stay! 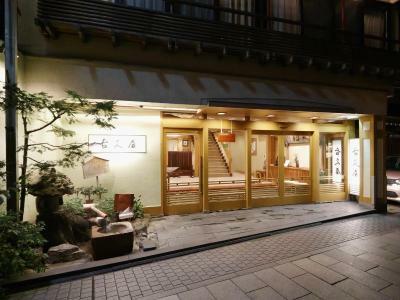 Japanese-style hotel Kokuya offers comfortable rooms that boast a private outdoor hot spring bath and free internet access. 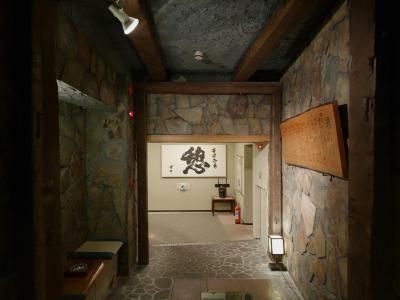 The hotel features 2 restaurants, a spa and spacious hot-spring baths. 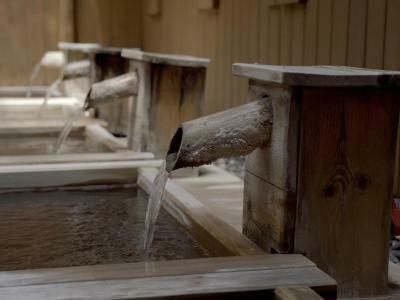 Kokuya lies in the heart of renowned hot spring area Shiba Onsen. Free shuttle from Yudanaka Station is available upon request. 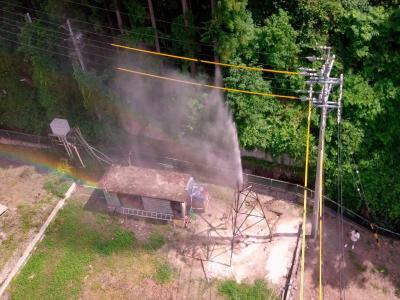 The hotel is just 1.9 mi away from Jigokudani Snow Monkey Park. 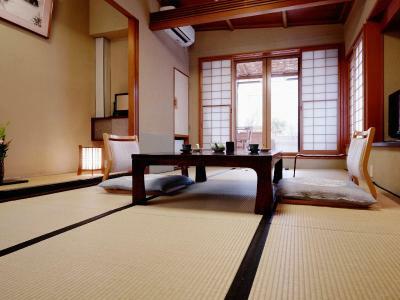 Rooms feature tatami-mat flooring and traditional futon bedding. 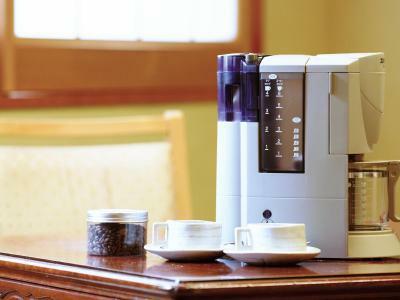 They come with a seating area, and are equipped with a flat-screen TV, a mini-bar and tea/coffee making facilities. 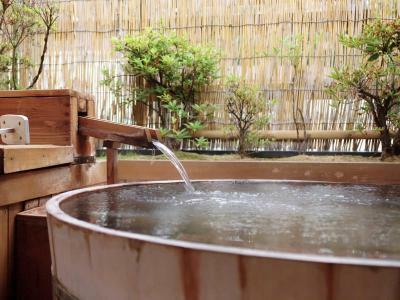 Guests can enjoy a massage at Zen Spa, or unwind in one of the 9 indoor and outdoor hot springs. Some baths can be reserved for private use. The hotel has a souvenir shop and drink vending machines. 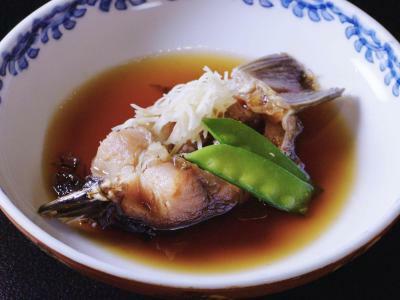 Restaurants Nagaoan and Yawaragi serve traditional local cuisine, offering restaurant seats as well as private dining spaces. Western breakfast is available upon advance request. 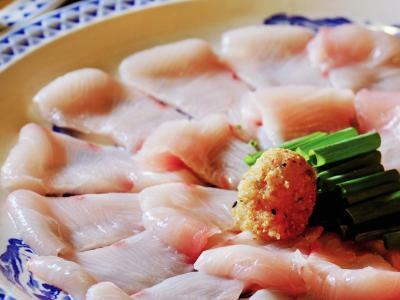 Shibu is a great choice for travelers interested in food, clean air and tranquillity. 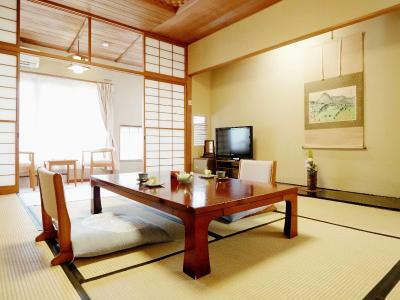 When would you like to stay at Shibu Onsen KOKUYA? This triple room features a balcony, electric kettle and bathrobe. This quadruple room features a balcony, electric kettle and air conditioning. This quadruple room has a balcony, air conditioning and electric kettle. Area Info – This neighborhood is a great choice for travelers interested in food, clean air and tranquillity – Check location Excellent location – show map Guests loved walking around the neighborhood! 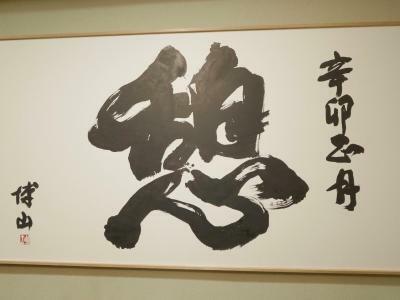 House Rules Shibu Onsen KOKUYA takes special requests – add in the next step! 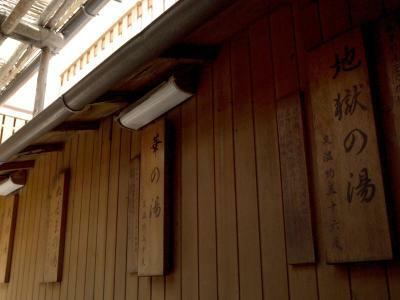 Shibu Onsen KOKUYA accepts these cards and reserves the right to temporarily hold an amount prior to arrival. Fantastic staff willing to do anything to help you. The baths were amazing and the location perfect with Snow Monkey Park nearby. Laminated bus times at the back of the shuttle car- they are outdated. There were times bus departed from Bus stop A and B to go to Yudanaka station (after the snow monkey park) but they were wrong as we later checked the timetable the info center had given us. 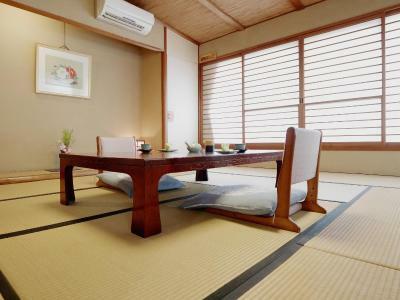 Ryokan is outdated and seemed run down. 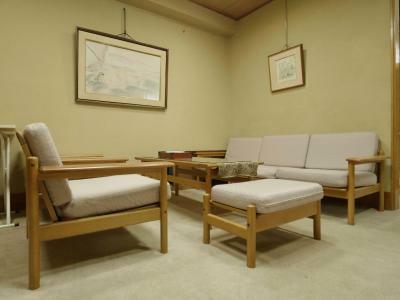 Futons were umcomfortable and the private onsen on balcany seemed outdated as well. 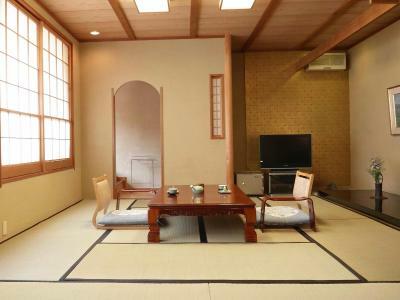 We have stayed at much nicer Ryokans for the same amount of money we paid for this one. The price of the hotel was on the steep end and it was not the most expensive in the area. I believe you are paying for the area, we have stayed in similar accommodations for less in other areas. The building is not well heating on every level, at one point while walking to our room in one of the many hallways, it was like we were walking outside. (the room had good heating). Our last dinner was a bit disappointing, the food came to us very slowly, we were still there after an hour and had not been served all the dishes. We were tired and decided to skip the rest of the meal. We ordered one drink and would have liked another one but we were not asked if we wanted one and didn't want to wait longer for a second one. to give them the benefit, they might have been short staffed, although we witnessed our server running back and forth serving many tables and other servers not moving as quickly, they might have been able to help her out so her customers would have a good experience. If we had not paid so much for the room, none of the above would have standed out but when you pay so much you expect more. The staff were extremely friendly and made us feel very welcomed. They even gave us a little care package with a snack for the trip to our next destination. Fantastic staff who were helpful and extremely friendly. We had access to the public baths which were fun to do, but the baths at the property were much better. We spent most of our time just sitting in our own private bath because it was so relaxing! Definitely will come back in the future! Only complaint was no discussion of breakfast and dinner prices. Check in is at 3pm and the staff were happy to store our luggage beforehand since we arrived early. The staff treated us so well throughout our whole stay. I can not remember the gentleman's name who mainly tended to us but he was brilliant. He spoke us through how everything worked, including how to put on our kimono. 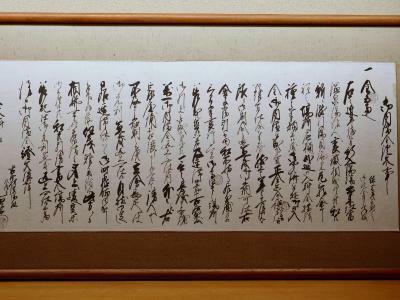 He made it as easy as possible for us to fit in with the traditional Japanese culture. Dinner and breakfast were excellent. 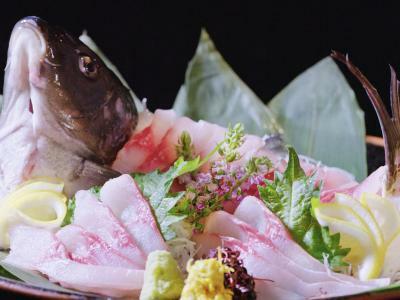 I am a fussy eater and could appreciate that the food was of very high quality. We even got an upgraded room since it was quiet that evening. The private Onsen was the cherry on the cake. I will definitely recommend this accommodation to friends and family. Thanks for a wonderful stay. The place is in need of a complete overhaul. Very bleak & dated. 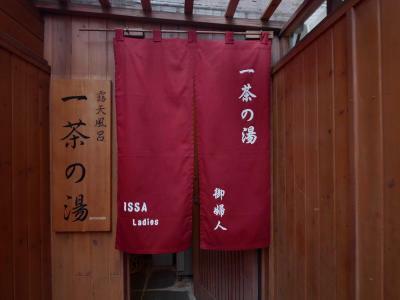 Onsens were underwhelming. So much more expensive than other nearby places. I naievely thought that would equal a superior facility, but it unfortunately didn’t. The check in staff were courteous but a little cold. The restaurant staff were lovely & friendly though! And the food was fantastic. Nice having our own onsen in the balcony, but it wasn’t a very nice space to spend time in.